- Interesting matchup here as Osaka's massive ballstriking meets Bencic's counter-attacking style. - Bencic is playing the tennis of her life, recording wins against Sabalenka, Halep, Svitolina & Kvitova on her way to winning the title in Dubai last month. - Bencic loves to absorb her opponents pace and redirect, she matches up well against Osaka and beat her at the Hopman Cup earlier this season. 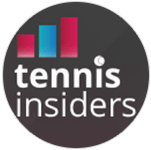 - Osaka is naturally favored having won two major titles in recent months but Bencic isn't far away from making a breakthrough, past injuries have stalled her career.